On this page, you will find links to sites where you can find texts representing a wide range of subjects and a few publishers that offer low-cost textbooks. Look for the or to view a comprehensive review of the textbook by a UHCC faculty member. In addition, this page presents a compilation of links to open textbooks (and a few other similar resources) in various subject areas. The materials included on this page are just a few of the many resources currently available online from various sources, and they are presented here as samples to represent the variety of open textbooks that may be found online today. The boxes below include materials in the following subject areas: Math, Economics, Marketing, History, Biology, Botany, English, Psychology, Sociology, Speech, Foreign Languages, Anthropology, Anatomy and Physiology, Physics, Chemistry, Culinary Arts, Teacher Education and more. This page is frequently updated and new resources are added on a regular basis. The Copy Center offers a service to print OER textbooks for $0.05 per page. If you didn't find what you need on this page, additional guides, collections, and repositories are available. Open textbooks are available with nonrestrictive licenses. The following sites include peer-reviewed titles representing a wide range of disciplines and subjects. COOL4ed is a service of the California State University, MERLOT program. The ISBN search feature is located in the middle column near the bottom of the page. Use the ISNB of a similar OER text and this search feature will find related resources. Repository of open textbooks created from the British Columbia Open Textbook Project. In collaboration with the Boundless team, Lumen Learning imported these OER courses to the Lumen Platform, to ensure they remain freely available to the education community after Boundless ceased operations. Find textbooks from Affordable Learning Georgia, an initiative of the University System of Georgia. 265 textbooks for community college courses. A small collection of texts presented through Pressbooks. Various disciplines and topics available. A growing collection of peer-reviewed introductory level college textbooks covering biology, anatomy and physiology, sociology, statistics, and economics. Pre-calculus, chemistry, U.S. history, and psychology textbooks are in development. An open access initiative at SUNY which is publishing faculty produced course textbooks. So far, 22 textbooks have been published with more planned. An open textbook library hosted by the University of Minnesota. Over 160 college-level textbooks with an emphasis on business, economics, law, and math subject areas. A directory of open textbooks focusing on mathematics from arithmetic to calculus to linear algebra. 100 downloadable textbooks from the Saylor Academy. offers a comprehensive introduction to the world of Art. Authored by four university faculty members with advance degrees in the arts, this textbooks offers up-to-date original scholarship. It includes over 400 high-quality images illustrating the history of art, its technical applications, and its many uses. This resources features thirty chapters covering art history from prehistoric times until now. Chapters are arranged chronologically and they present an overview of art history in different areas of the world. Featuring sixty-nine authors and full texts of their works, the selections in this open anthology represent the diverse voices in early American literature. This completely-open anthology will connect students to the conversation of literature that is embedded in American history and has helped shaped its culture. Similar to World Literature I but developed around different curricula. "A collection of free and open primary texts in digital formats for the study of early world literature in English translation." "...surveys key literary movements and the American authors associated with the movement. Topics include late romanticism, realism, naturalism, modernism, and modern literature." A music appreciation compilation of various authors. The text covers the fundamentals of music and the physics of sound, an exploration of music from the Middle Ages to the present day, and a final chapter on popular music in the United States. This text provides a comprehensive overview of technical theatre, including terminology and general practices. This book seeks to give insight into the people and processes that create theater. It does not strip away the feeling of magic but to add wonder for the artistry that make a production work well. An introductory textbook in logic and critical thinking. The goal of the textbook is to provide the reader with a set of tools and skills that will enable them to identify and evaluate arguments. The book is intended for an introductory course that covers both formal and informal logic. A Concise Introduction to Logic is an introduction to formal logic suitable for undergraduates taking a general education course in logic or critical thinking, and is accessible and useful to any interested in gaining a basic understanding of logic. This book provides insights to help students understand college life and strategies to address the most pressing issues—the personal challenges, social pressures, and academic demands. This text received a 2019 Textbook Excellence Award by the Textbook & Academic Authors Association. Presented in Pressbooks, this resource is designed to show how to be successful in college and in career preparation focuses on study skills, time management, career exploration, health, and financial literacy. This course provides resources for first-year college students on the path to academic and life success. College Success has a student-friendly format arranged to help students develop the essential skills and provide the information they need to succeed in college. This version is by ELI (Extended Learning Institute at NOVA) via Lumen Learning. The focus of this textbook is preparing students for a college education with the study and life skills they need to become successful students. This book is designed to engage students in seeing themselves as college students and understanding the complexity of what that means to their lives. This book introduces students to the various aspects of student and academic life and prepares them to thrive as successful college students. This Pressbooks text helps students to create a foundation for post-secondary studies by learning how to learn. By taking the time to read this book and work through the exercises included, students are investing in the skills that will support them in all of their classes and future learning. The following are some open textbooks that are part of a "series of Culinary Arts open textbooks developed to support the training of students and apprentices in British Columbia’s foodservice and hospitality industry. Although created with the Professional Cook, Baker and Meatcutter programs in mind, these have been designed as a modular series, and therefore can be used to support a wide variety of programs that offer training in foodservice skills..."
You may download the following books in PDF, ePub, mobi and other formats, or you may read them online. This 2016 textbook was designed for use in Virginia Tech’s Pamplin College of Business introductory level business course, MGT1104 Foundations of Business. The book provides detailed explanations in the context of core themes such as customer satisfaction, ethics, entrepreneurship, global business, and managing change. This textbook looks at different meanings and approaches and considers how social and political dynamics interact with the ideas that animate the various schools of legal thought. and sets out some basic differences between the US legal system and other legal systems. This textbook will introduce the student to the laws and ethical standards that managers must abide by in the course of conducting business. To access the book click on "Adopt this book now" blue rectangular box below book cover image or click on the PDF link under "Formats Available" title. To access the book click on "Adopt this book now" blue rectangular box below book cover image or click on one of the available formats available below the "Adopt this book now" link box. This textbook covers the scope and sequence of most introductory microeconomics courses. The text includes many current examples. The outcome is a balanced approach to the theory and application of economics concepts. To access the book the book click on "Adopt this book now" blue rectangular box below book cover image or click on the PDF link under "Formats Available" title. This textbook offers a unique perspective and set of capabilities for instructors. The authors designed this book with a “less can be more” approach, and by treating small business management as a practical human activity rather than as an abstract theoretical concept. The hypertext linked review covers Chapter 1 of the textbook. "Principles of Marketing teaches the experience and process of actually doing marketing—not just the vocabulary. It carries five dominant themes throughout in order to expose students to marketing in today’s environment: Service-dominant logic, Sustainability, Ethics and social responsibility, Global coverage and Metrics." You may download this book in PDF, ePub, Mobi or MS Word format or you may read it online. This BCcampus text uses annual reports of real companies to illustrate many of the accounting concepts in use in business today. Based on International Financial Reporting Standards, this textbook also contains multiple ancillary resources, including a student solutions manual and workbook. The material is fully bookmarked, and questions are hyper-linked to related solutions. This text is peer reviewed by academic professionals and tested by students contains over 100 charts and graphs, instructional exercises appearing both in-text and for Excel, as well as resources for student professional development. Use the "Download" tab to access the free PDF. This course pack is designed to meet the learning outcomes for Adult Literacy Fundamental English Level 6 (roughly equivalent to grades 7.5 to 9 in the K-12 system). Every chapter includes a level-appropriate, high-interest reading of between 500 and 1,000 words. Business English for Success provides instruction in steps, builds writing, reading, and critical thinking, and combines comprehensive grammar review with an introduction to paragraph writing and composition. This step-by-step approach provides a clear path to student-centered learning. This book has been written for adult students of English Language Arts at a Grade 10 level. The goal of the book is to help students develop skills in reading, writing, language use, and study skills. The book is divided into ten units, each of which focuses on a specific theme; these include food, work, art, money, nature, and more. English Composition I is a study of the rhetorical modes of writing and essay production. English Composition II is a writing course that emphasizes the process of research writing. This is an English language skills textbook to help ELL students acquire communication skills in the community (listening, speaking, reading, and writing). The book is aimed at Canadian Language Benchmark levels 5/6, focusing on intercultural skills and essential skills: reading text, document use, writing, oral communication, thinking skills, working with others, and computer use. This is an English language skills textbook to help ELL students acquire communication skills in the workplace (listening, speaking, reading, and writing). The book is aimed at Canadian Language Benchmark levels 5/6, focusing on intercultural skills and essential skills: reading text, document use, writing, oral communication, thinking skills, working with others, and computer use. The Information Literacy User’s Guide is based on two models in information literacy: The 2011 version of The Seven Pillars Model and the conception of information literacy as a metaliteracy. A collection of freely available materials for use in first-year composition courses. Content is arranged by themes or categories. A free, online comprehensive college-level writing lab. The hypertext linked review is for the APA Style section of the Online Writing Lab. A free, comprehensive, peer-reviewed, award-winning Open Text for students and faculty in college-level courses that require writing and research skills. Writing for Success is a text that provides instruction in steps, builds writing, reading, and critical thinking, and combines comprehensive grammar review with an introduction to paragraph writing and composition. This adapted edition is produced by the University of Minnesota Libraries Publishing through the eLearning Support Initiative. The linked review of this textbook is for the original version authored by Scott McClean, Arizona Western College. Communication in the Real World overviews the time-tested conceptual foundations of the field, while incorporating the latest research and cutting-edge applications of these basics. A key feature of this book is the integration of content regarding diversity and organizational communication in each chapter through examples and/or discrete sub-sections. No matter what your field is, having professional communication skills are essential to success in today's workplace. This Pressbooks text covers key business communications topics that will help you in your career, including intercultural communication, team work, professional writing, audience analysis and adapting messages, document formatting, oral communication, and more. This Pressbooks publication is a modular open textbook designed for entrepreneurial journalism, media innovation, and related courses. In the course of envisioning, prototyping and launching, you will integrate multimedia production, social media distribution, design thinking, data collection and analysis, and audience engagement strategies. This Pressbooks resource is an approachable introductory Mass Communication text that covers major mass communication terms and concepts including "digital culture." It discusses various media platforms and how they are evolving as Information and Communication Technologies change. The Pressbooks text provides an upper-level undergraduate introduction and explanation of the social and cognitive processes involved in human communication, focusing on how people create understanding. "The author believes that an introduction to mass communication text should be a compelling, historical narrative sketching the ongoing evolution of media technology and how that technology shapes and is shaped by culture..."
This Pressbook textbook by University of Hawai‘i at Mānoa Food Science and Human Nutrition Program serves as an introduction to nutrition for undergraduate students and is the OER textbook for the FSHN 185 The Science of Human Nutrition course at the University of Hawai'i at Mānoa. The book covers basic concepts in human nutrition, key information about essential nutrients, basic nutritional assessment, and nutrition across the lifespan. This online textbook covers major ancient civilizations including Greece, Egypt, Rome, Middle East, China, Central and South America and more. Note from the authors: "This guide is designed to be used along with a presentation or other supportive material...The individual lecturer needs to fill in the missing parts he/she wants to focus on based on their expertise and interest." A comprehensive introduction to the history of humankind from prehistory to 1500. Authored by six USG faculty members with advanced degrees in History, this textbook offers an up-to-date original scholarship. Coverage includes cultures, states, and societies as Ancient Mesopotamia, Ancient Israel, Dynastic Egypt, India’s Classical Age, the Dynasties of China, Archaic Greece, the Roman Empire, Islam, Medieval Africa, the Americas, and the Khanates of Central Asia." "This textbook examines U.S. History from before European Contact through Reconstruction, while focusing on the people and their history." U.S. History is a survey course beginning with the indigenous people of the New World and extending to the post-Civil War Reconstruction era. U.S. History II is a survey course that covers the post-Civil War Reconstruction era and moves forward through historical events and context to the present day. This textbook covers the history of the United States chronologically and thoroughly enough to meet the requirements of most courses. Click on "Get this book" to read it online or to download the book in PDF format. This online resource covers American History from Pre-Columbian times to the new millennium. Full text available at Ulukau, The Hawaiian Electronic Library. The course is centered on the learning outcomes developed by the Human Anatomy & Physiology Society (HAPS) Curriculum and Instruction Committee, and can be used independently by students or by faculty as a course supplement. An on-line lab manual for anatomy and physiology. Mostly annotated images. Some histological slides are presented at different levels of magnification. This is a Pressbooks adapted version of the OpenStax Anatomy and Physiology text with revised content and artwork by Oregon State University. This introductory class integrates the anatomy and physiology of organs, the systems of the human body, and development and inheritance. It includes the study of the gross and microscopic structure of the systems of the human body with special emphasis on the relationship between structure and function. This is the second of a two-part course. This text is adapted from the OpenStax Textbook Anatomy and Physiology, which is a college level text intended for a traditional two semester anatomy and Physiology course. This adaptation is highly edited to focus on basic human body systems required for an introductory anatomy and medical terminology course (HLTH 140 at Kaua`i CC). Biology is grounded in an evolutionary basis and includes exciting features that highlight careers in the biological sciences and everyday applications of the concepts at hand. This set of Biology I lab assignments ensures students have the opportunity to apply the concepts and information they learn as they work through Biology I course content. Content includes lab assignments for students, as well as Instructor Materials Preparation for each lab with detailed lists of what faculty members need for each lab. This set of Biology II lab assignments ensures students have the opportunity to apply the concepts and information they learn as they work through Biology II course content. Content includes lab assignments for students, as well as Instructor Materials Preparation for each lab with detailed lists of what faculty members need for each lab. A lab manual designed to be used in conjuction with an entry level biology course. This book is devoted to botany and covers topical issues in this diverse area of study. Botany online is an html textbook that has been translated from German into English covering plant anatomy, classic genetics, organic chemistry and plant biochemistry, intercellular communication, interactions between plants, fungi, bacteria, and viruses, evolution, and ecology. This is a Pressbooks adaptation covering the most salient environmental issues, from a biological perspective. The text is designed for an introductory-level college science course. Topics include the fundamentals of ecology, biodiversity, pollution, climate change, food production, and human population growth. "This book was written by undergraduate students at The Ohio State University (OSU) who were enrolled in the class Introduction to Environmental Science. The chapters describe some of Earth's major environmental challenges and discuss ways that humans are using cutting-edge science and engineering to provide sustainable solutions to these problems." "This book is suited for the Entrepreneurship or Innovation course with an emphasis on Sustainability or for a course devoted entirely to Sustainability. What are the trends and forces underlying the changing character of the business-environment relationship? How they are creating significant entrepreneurial opportunities for individuals and companies? Around the world, the movement toward ”sustainable development“ has caused many firms to adopt policies and practices that reflect what is sometimes called a ”sustainable business“ or ”triple bottom line“ approach. ”Triple bottom line“ refers to the demonstration of strong performance across economic, social, and environmental indicators." "This text is designed to introduce the reader to the essential concepts of sustainability... The content is intended to be useful for both a broad-based introductory class on sustainability and as a useful supplement to specialist courses which wish to review the sustainability dimensions of their areas of study." This textbook is a concise, understandable, and effective guide on intermediate level mathematics. Each topic, concept, term, and phrase has a clear definition followed by examples. It acts as a concise study guide, quickly getting to the heart of each particular topic, helping students with a quick review before doing mathematics homework or preparing for tests. This book is a survey of contemporary mathematical topics, most non-algebraic, appropriate for a college-level quantitative literacy topics course for liberal arts majors. The text is designed so that most chapters are independent, allowing the instructor to choose a selection of topics to be covered. Emphasis is placed on the applicability of the mathematics. Adult Learning Academy - Pre-Algebra is a competency-based, contextualized and accelerated basic academic skills course aligned to the competencies in the credit developmental education Pre-Algebra math course. "Algebra and Trigonometry provides a comprehensive exploration of algebraic principles and meets scope and sequence requirements for a typical introductory algebra and trigonometry course." Access the book in PDF or ePub format by clicking on the "Get this book!" green rectangular button on the right hand side of the screen. Click on "View Intermediate Algebra" (below book cover image) to download the book in PDF format. The link provided gives users direct online access to full text in PDF format. The book may be downloaded, read online, or printed. Access the book in PDF or ePub format by clicking on "Get this book!" green rectangular button on the right hand side of the screen. Download current (2014) and previous editions by clicking on "full-text" available links. The link provides users direct online access to full text in PDF format. The book may be downloaded, read online or printed. Calculus textbook available in three separate volumes. Click on download to access text in PDF format, in color. Click under "Links to resources" to access the text in PDF format. Click on "Get this book" link on the right hand side of the page to access the book & click on "More resources" for additional resources including "Instructor Solutions Manual" and "Powerpoint Slides" (faculty only). Click on "Download the Third Edition PDF" for full text online access to this book. To get additional resources click on "Extra Content" on the left. Scroll down to the end of the page and click on the link to access the book online in PDF format. The book begins with relevant scientific fundamentals and progresses through an exploration of the solar system, stars, galaxies, and cosmology. "The goal of this textbook is not to make you an expert. True expertise in any field is a years-long endeavor. Here I will survey some of the basic topics of chemistry. This survey should give you enough knowledge to appreciate the impact of chemistry in everyday life and, if necessary, prepare you for additional instruction in chemistry..."
“Chemistry is designed for the two-semester general chemistry course. For many students, this course provides the foundation to a career in chemistry, while for others, this may be their only college-level science course. As such, this textbook provides an important opportunity for students to learn the core concepts of chemistry and understand how those concepts apply to their lives and the world around them. The text has been developed to meet the scope and sequence of most general chemistry courses. At the same time, the book includes a number of innovative features designed to enhance student learning. A strength of Chemistry is that instructors can customize the book, adapting it to the approach that works best in their classroom." “The Basics of General, Organic, and Biological Chemistry is for the one-semester General, Organic and Biological Chemistry course. The authors designed this textbook from the ground up to meet the needs of a one-semester course. It is 20 chapters in length and approximately 350-400 pages; just the right breadth and depth for instructors to teach and students to grasp…” Available for download in PDF format. What is geology and why is it is an intricate part of your everyday life? This textbook is a comprehensive lab manual for the core curriculum Introductory Geosciences classes with both informational content and laboratory exercises. Physical Geology is a comprehensive introductory text on the physical aspects of geology. A 2019 adaptation of this text is available (https://openpress.usask.ca/physicalgeology/) from the First University of Saskatchewan with a strong emphasis on examples from western Canada. The principles of rock mechanics explains the fundamental concepts of continuum mechanics and rheology as applied in studies of rock deformation. The discipline of structural geology studies the architecture of the solid Earth and other planets. This introductory, algebra-based, two-semester college physics book is grounded with real-world examples, illustrations, and explanations to help students grasp key, fundamental physics concepts. College Physics can be can be downloaded now by clicking on the "Get this book" button below. This online, fully editable and customizable title includes learning objectives, concept questions, links to labs and simulations, and ample practice opportunities to solve traditional physics application problems. This book is available in paperback. The book discusses traces of evolution in our bodies, basic evolutionary theory from Darwin to the genomic revolution, sexual selection and reproduction, and how human brain development affects our evolution, including into the future. This resource explores the subdiscipline of physical anthropology that studies human evolution through fossil records. This text is intended to be an introductory text about the Native peoples of North America (primarily the United States and Canada) presented from an anthropological perspective. This textbook is "designed for students to experience and study as much of the world as possible within a limited amount of time. It gives students the fundamental concepts and the latest data regarding world places in a concise, easy-to-read format..." To learn more about this book and to read it online click here. "This text approaches geography as experts understand the discipline, focusing on connections and an in-depth understanding of core themes..."
This is a non-profit website and open for everyone to use. Everything on this website is free, open, and licensed under the Creative Commons Attribution 3.0 License. Developed, edited, and administered by R. Adam Dastrup. Textbook from Florida Atlantic university Department of Political Science that explores the role of government, politics, and policy in American lives. Lumen Learning open textbook on American government. The text introduces the intricacies of the Constitution, the complexities of federalism, the meanings of civil liberties, and the conflicts over civil rights;explains how people are socialized to politics, acquire and express opinions, and participate in political life; describes interest groups, political parties, and elections—the intermediaries that link people to government and politics; details the branches of government and how they operate; and shows how policies are made and affect people’s lives. An Introduction to Politics will attempt to demystify the political world, and make it relevant by showing how things actually work and why—how political systems divide the spoils and spread the burdens of civilized life; how economic and political systems intersect; and how approaches to politics have evolved to bring us where we are today. Introduction to Psychology is a survey course covering the field of psychology and approaches to understanding human behavior. To access the book click on "Adopt this book now" blue rectangular box below book cover image. Access this text by clicking on any of the links that appear below the book cover image. This textbook represents the entire catalog of Noba topics. It contains 90 learning modules covering every area of psychology commonly taught in introductory courses. This Pressbooks text tackles the difficult topic of psychological disorders in 8 chapters. After the first three foundational chapters, a discussion of psychological disorders ensues to include anxiety disorders, obsessive-compulsive and related disorders, mood disorders, schizophrenia spectrum and other psychotic disorders, and personality disorders. Introduction to Sociology is survey course focused on how people and society affect each other. This is an introductory text that aims to provide both an understanding of society and a view on how it can be changed. Click on the "Adopt this book now" blue rectangular box that appears below the book cover to access the text in pdf format. Click on "Adopt this book now" blue rectangular box below book cover image to access this textbook. This is an online textbook created by the author who has 20+ years of experience teaching Introduction to Sociology. The online textbook is designed for accessible laptop, computer or ipod display and its navigation elements get automatically removed when printing. This textbook uses a family systems lens to discuss challenges and strengths of immigrant and refugee families in the United States. Chapters address immigration policy, human rights issues, economic stress, mental health and traumatic stress, domestic violence, substance abuse, family resilience, and methods of integration. This text is for introductory courses on cultural sociology providing sociological terms, concepts, theories, and research in the study of culture. The book contains five modules with sociological applications on: 1) Culture and Meaning, 2) Culture as a Social Construct, 3) Cultural Power, 4) Cultural Identity, and 5) The Multicultural World. Note: Membership to the Merlot website is needed for access to the PDF file. Membership is free. This PDF format text was published in 2016 by College of the Canyons (California) and is licensed CC BY 4.0. • Public Speaking, the Virtual Text (by various authors) --from the Public Speaking Project. This is an online textbook written by multiple authors who teach Public Speaking at various US universities. This comprehensive resource includes eighteen chapters covering many Public Speaking topics including: the origin and the ethics of public speaking, audience analysis, listening effectively, supporting, outlining and organizing ideas, delivering a speech, and much more. The text is available online and also downloadable in PDF format, which could be accessed both in black and white and in color. Click on the "Adopt this book now" blue rectangular box below book cover image to access this textbook. EdHub is an online library of professional development materials dedicated to the advancement of best practices in teaching and learning at the PK-12 and higher education levels. Follow this link to view a guide to K-12 open textbooks and OER maintained by the Odum Library, Valdosta State University. 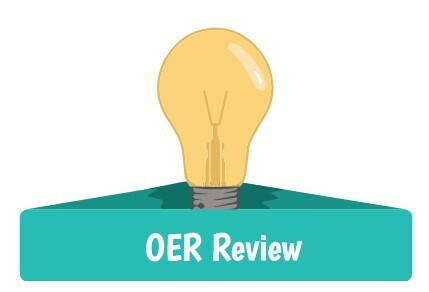 This page provides a register of OER providers in the teacher education area, links to OER search engines, and other aggregate sites, allowing you to find further resources. The following resources include materials specifically for Educational Technology. This textbook contains a comprehensive collection of proven strategies and tools for effective online teaching, based on the principles of learning as a social process. This textbook introduces a new model for understanding and exploiting the pedagogical potential of Web-based technologies, one that rests on connections — on networks and collectives — rather than on separations. This textbook examines the underlying principles that guide effective teaching in an age when everyone, and in particular the students we are teaching, are using technology. COERLL's mission is to produce and disseminate Open Educational Resources for the Internet public (e.g., online language courses, reference grammars, assessment tools, corpora, etc.). Provides learning materials in 16 languages. Au boulot! is a two-year college French program consisting of: a textbook, workbook and 21 accompanying audio exercises; as well as a reference grammar. This previously all rights reserved course (1995) is currently available under a CC BY-NC license. Chapeau! is a first-year college text. This resource contains a textbook, and workbook with 24 accompanying audio exercises. This previously all rights reserved course (1989) is currently available under a CC BY-NC license. Two texts available through the UH System Repository for the University of Hawaiʻi: Reading & Writing and Oral Communication. This text is available through Penn State University's Pressbooks and is intended for a first-year, college Elementary Spanish I level. This text is intended for use in undergraduate and/or graduate courses in Management Information Systems and Information Technology. Rather than lead with technical topics, the book starts with strategic thinking, focusing on big-picture issues that have confounded experts but will engage students. And while chapters introduce concepts, cases on approachable, exciting firms across industries further challenge students to apply what they've learned.